This post is sponsored by The Bentall Centre. Bentalls is a Fenwick store, basically a department store, with loads of amazing pieces ranging from beauty, fashion, home and so much more! I couldn't tear myself away from their Christmas Emporium and ended up picking a few Christmas gifts from Bomb Cosmetics, a new brand to me. Bomb Cosmetics offers bath bombs and soaps at really affordable prices. 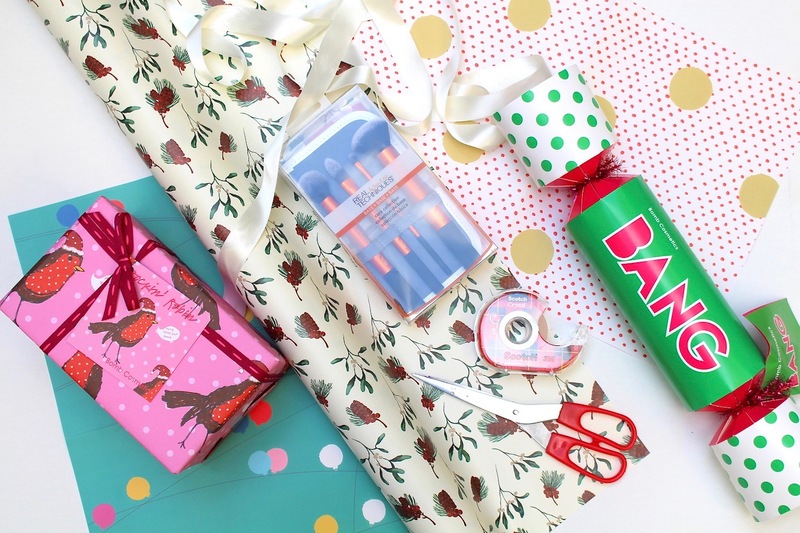 I picked up one of their Christmas crackers (£7.95) which has three bath bombs inside and the Rockin' Robin gift set (£11.95) which has a selection of bath products already wrapped beautifully for those of you who aren't keen on wrapping presents. I also stumbled across a few Real Techniques brushes and I simply had to pick up the core collection brush set (£20.99) because I don't have them in my collection - and it's ok to treat yourself at Christmas too right? I then went for a wander in Oliver Bonas and of course had a browse of their Christmas offerings this year, with so much to choose from I didn't really know where to begin but you can't go wrong with a gift set. 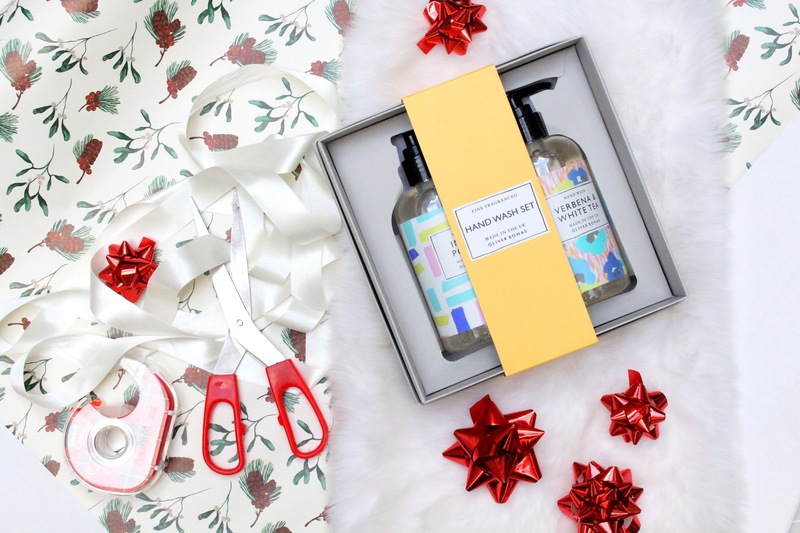 I picked up the Fine Fragranced Hand Wash Set (£15.00) perfect for anybody who you're not quite sure what to buy for but still want to give a nice, practical gift to. I just wanted to have a browse inside & Other Stories and had no idea they also had some Christmas offerings. 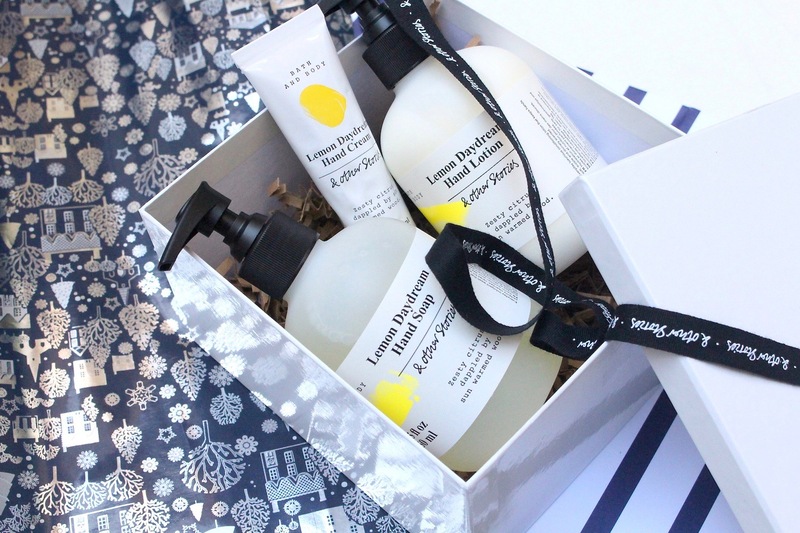 Although quite basic sets in my opinion they're still a really nice gift for someone who is either a fan of the brand or who has a minimalist style, I think these bottles would sit perfectly in the bathroom. Again, I went for some hand creams in Lemon Daydream (£15.00) I think hand creams are a really nice gift to give, as well as receive, I just don't think you can go wrong! Finally, I passed through Boots and couldn't resist picking up a new nail varnish shade for Autumn/Winter from Essie. 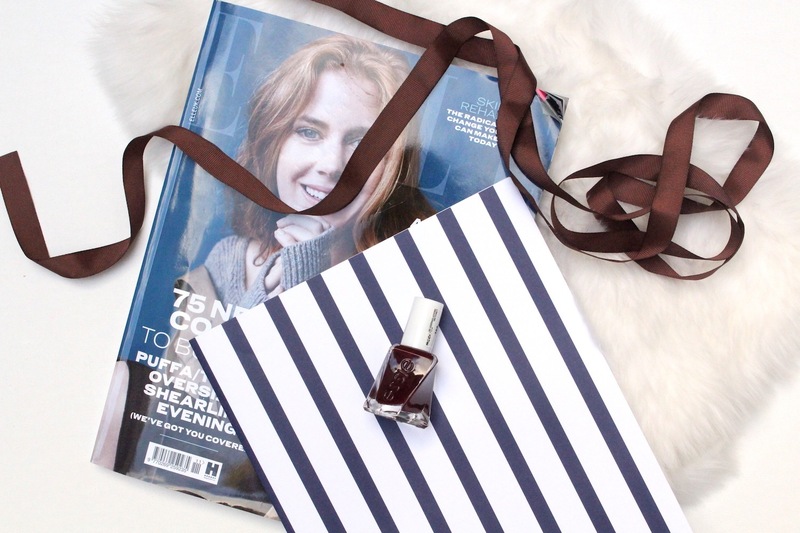 I picked up "Spiked with Style" (£9.99) and although it's on the pricey side for a nail varnish I do love Essie's formula and think they're the perfect treat for yourself (yes, this is another Christmas treat for myself) or for any of your friends and family who love painting their nails. Ive got a quarter of mine to go now! 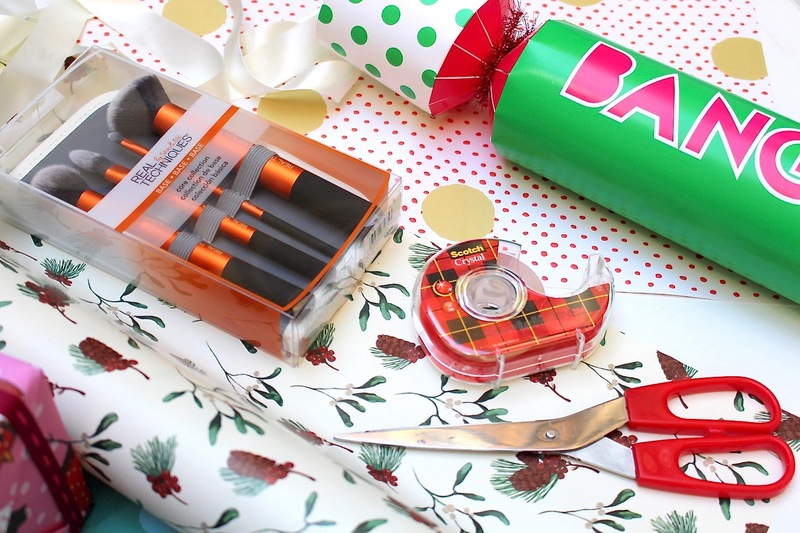 Determined to finish all the shopping before December hits! As got then when the sales hit &I I go to the clothes show live I don't have to worry about buying presents! I can treat myself which I haven't done in a while! I really want to try the Essie polishes! They look so well made! Love this! Anywhere with an Oliver Bonas I'm off to!